Thank you in advance for participating in our survey. Your feedback is important. 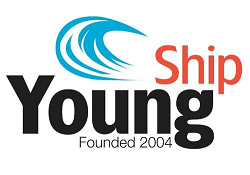 The work of YoungShip is 100% dependent on the strong support from the maritime companies. Through the past years, we have seen that the focus on the young employees is growing within all parts of the industry, due to the extensive need for recruiting highly skilled and competent staff as a vast number of maritime employees are close to retirement age. If our industry is to stay ahead in the global competition and solve tomorrow´s challenges, we are fully dependent on attracting the brightest brains, the hard working and outside-the-box staff, and manage to compete with several other main industries about critical competence. We also need to become more visible and promote the exciting and global aspects few other industries can show for. This is an important job for the industry as a whole, yet cannot succeed unless individual companies show their investments and dedication in the next generation employees. The jury consist of 3 members of the YoungShip International Board. The 2018 Young Corporation Award will be handed out during ShipCon 2018 in Cyprus from the 7th to the 9th November. The nomination period is open, and anyone can nominate candidates for the award.